A driver who may have been impaired by a marijuana-laced edible has been arrested after a fatal hit-and-run accident on I95 in Broward County. The driver allegedly hit a disabled car that was being loaded onto a tow truck after a prior accident. The force of the crash propelled the disabled car onto the shoulder where it struck and killed the husband of the disabled car's driver. After the car accident, the driver allegedly fled the scene on foot but was arrested one-quarter mile from the accident. He has been charged with failing to stop at an accident involving death and resisting an officer. At this point, he has not been charged with driving under the influence of drugs or alcohol. Our state has a poor record for the number of hit and run accidents per capita. A recent study from the AAA Foundation for Traffic Safety places Florida in the top 3 of states with the most fatal hit and run crashes per capita, along with New Mexico and Louisiana. Hit and run accidents overall have been on the increase. Since 2009, hit and run deaths in the U.S. have increased an average of 7.2% each year. The number of fatal hit and run crashes in 2016 was 2,049, which is a whopping 60% increase over the 2009 rate. Even if a driver has not caused a crash, he or she has a duty to stop and assess the situation. Florida law requires that drivers involved in an accident that causes injuries or property damage remain at the scene of the accident and call for help. Being convicted of leaving the scene of the crash may result in a misdemeanor or felony charge along with hefty penalties including fines, prison time and/or license revocation. In the event of an accident with resulting injuries from a negligent hit and run driver, Florida drivers should seriously consider carrying uninsured motorist insurance coverage. This coverage will protect you or your familyin the event of an accident with injuries or death resulting from a negligent hit and run driver or a negligent driver that does not have Bodily Injury Liability coverage. Florida laws do not require Bodily Injury liability insurance coverage leaving victims of a serious accident at risk for large medical bills and other damages. All owners and drivers of motor vehicles in Florida should carry uninsured motorist coverage to protect themselves and their family members in the event of an accident with a hit and run or uninsured driver. Never leave the scene of an accident. 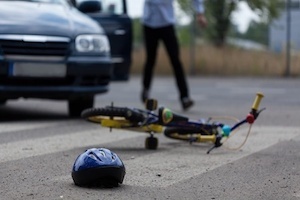 If you have been injured by a hit and run driver, please let us help you get compensation for your injuries and assist you in your determination as to whether there is insurance coverage. If you or a family member has been harmed by a truck accident, bus accident, car accident, slip and fall or any other type of personal injury, please contact the Law Offices of Diana Santa Maria, P.A. immediately. Our experienced attorneys will fight for the compensation you deserve. Please call us for a free consultation. Attorneys Diana Santa Maria and Laura D. Dolin, personal injury attorneys in Fort Lauderdale, will fight to secure justice for you and your family. You can reach us at (954) 434-1077 or contact us via the website.